I then asked Martin if he could say what qualities make for a good flying instructor. His emphatic answer was `enthusiasm’. You need to be passionate about flying, about teaching and you need to be what Martin describes as a `people person’. You also need to be patient especially with those students that are struggling with certain aspects of flying. Martin went on to explain what the route to becoming a Flying Instructor is. You can become a flying instructor with a PPL but you will not be able to be paid for your instruction. If you wish to be paid you would, of course, need a CPL. Once you have your CPL you can then do your FI course. Prior to the course you must have had 30 hours on single engined piston aircraft of which 5 hours must be within the last 6 months. There is a pre-entry test to make sure that candidates are suitable to be trained as flying instructors and have the basic flying skills. – 125 hours ground instruction broken down into such things as self study, classroom briefings, progress tests, etc. – 30 hours minimum of dual instruction (on PA38 at Ravenair) – of which 5 hours mutual instruction. Martin carries the training out by teaching the student one exercise and then he acts out the part of student whilst the actual student does the instruction on a previous exercise. At the end of the flying instructor course there is a test with Flying Instructor Examiner. 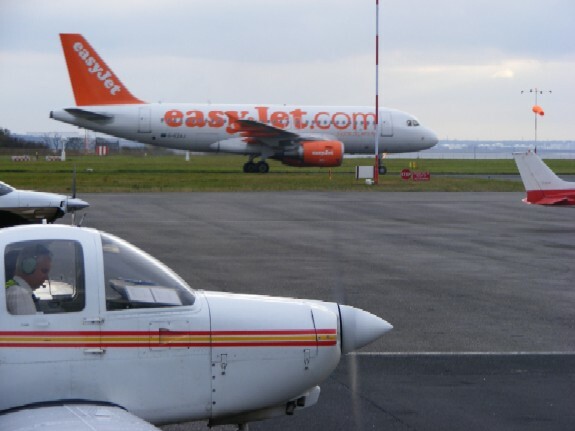 This involves a long briefing, a flight exercise with pre-flight briefing and the examiner can test the potential instructor on any subject although the student can refer to documents if unsure of the answer. Martin says that the approx cost of a FI course would be Â£6-Â£6500. 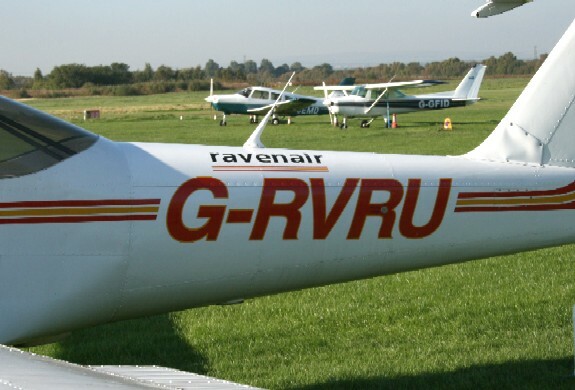 Ravenair use various teaching techniques in the FI training including the use of PCs but they also encourage trainee instructors to use white boards, for example, as they may not have access to hi-tech equipment when they actually start work as an FI. At the end of the course you get a FI(R) rating â€“ the (R) standing for `restricted’. This enables you to start teaching the PPL. To get the restriction lifted you need to have completed 100 hours of instruction and 25 student solos supervisions. You have to get a supervising FI to oversee student first solos and solo nav exercises until you have your restriction lifted. I asked Martin whether he thought that flying instructors were over qualified for such a low paid job. He agreed that it can be a low paid career but he said that you can move up the pay scale by training to teach multi engine and other advance flying ratings. 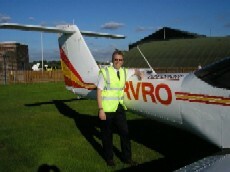 Martin started his career at Manchester Flying School at Manchester Airport before moving on to Caernarfon. He was then offered his current job at Ravenair. It’s great to hear from someone who loves his job so much. He loves to teach and loves to fly and he’s certainly very enthusiastic about flight training. This entry was posted in All Podcast Episodes, Flight Training, Flying Professionals, GA Flying and tagged Aviation, Barton, City Airport, Flight, Flight Training, Flying, General Aviation, Light Aviation, Podcast, podcasts, PPL by admin. Bookmark the permalink.